Fitness is a numbers game. Whether it’s heart-rate or calories burned or sit-ups done, it’s tough to talk about fitness without doing a little math. A recent story from Health.com gave us even more numbers to add to the tally. And while we may have started reading the story because we thought it said, “11 ways to stop working out after overeating,” we learned that “11 Ways to Stop Overeating after Exercising” provides some good advice from Mayo wellness dietitian Emily Brown. Brown, a former professional runner, says you have to understand your body’s nutrition needs to avoid doing things that negate your best efforts. Work out right before a meal. Hit the gym before you head home for the day. That way you’re consuming calories you would have consumed anyway. Pair protein and carbs. If you need to eat after a tough workout, Brown recommends a 4:1 ratio of carbohydrates to protein. “This will allow you to begin to replenish your energy levels and repair muscle damage,” she tells Health.com. Get milk. Studies have shown that refueling with dairy, specifically low-fat chocolate milk, can improve subsequent athletic performances better than traditional sports drinks. Stop eating out of habit. 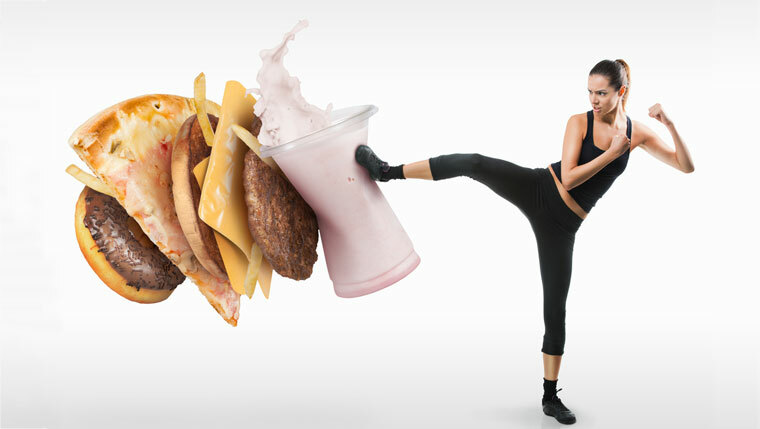 Sometimes, post-workout overeating is due more to routine more than hunger. “When you consistently consume a 500-calorie smoothie after you finish up at the gym, you start to get into that habit,” says Brown. She recommends different snacks for different workouts — shorter duration, fewer calories. Don’t overestimate. Most overestimate their energy expenditure during exercise. One way to prevent this, according to Health.com, is to wear a heart-rate monitor. However, if the heart-rate monitor says you burned 600 calories, that’s not an excuse head to Dairy Queen. “If you are trying to lose weight, you will need to consume fewer calories than you expend,” Brown says. Drink water as soon as you’re done. Replacing fluids you lost during a workout should be your first priority, post-workout. According to the Mayoclinic.org article “Five Tips to Maximizing Your Workout,” you should drink water before and during workouts as well. Refuel along the way. For workouts lasting longer than two hours — like a long bike ride or a marathon training run — sucking down a gel or sipping a sports drink will keep you from eating everything in your path afterwards. If you have our number, be sure to share a comment or two below. It wouldn’t hurt our stats if you also shared this story with other while you’re here.